We’re all very unique and have different preferences when it comes to spending our free time. It’s important that we choose the right activities to kill this free time as while the right activities will leave us refreshed and energised, the wrong ones can leave us depressed and restless. So here are five simple activities that any hijabi can enjoy in her free time. For every hijabi, it should be important to not just look beautiful on the outside but also to be beautiful on the inside. And nothing beautifies your soul more than helping others. This is one activity that truly makes you feel like you spent your time well and leaves you at peace. There are a number of organisations at national as well as international levels that you can be a part of and share your wealth. But if you’re looking for some real and more personal contribution, I always find it a good idea to spend my time making small gift boxes that I can distribute to underprivileged children on Eid. These gifts could include sweets, stationary items or even some nice toys, depending on your budget. If you don’t know of any such individuals in your area whom you can help in this way, then spend some time and ask around, you’re sure to find at least one brother or sister who is in need of some financial help. You could help someone with his or her college fee or simply buy some new outfits for someone who can’t afford them. When someone gets helped out in this way on Eid, they can consider it as a gift and will not be embarrassed as they otherwise might have been. And if you’re not in the position to help others financially, there’s still so much you can do like volunteering at community centres, helping students with their homework or teaching Quran and Ahadith to kids. Every hijabi has some hidden skills which need polishing, this could be cooking, baking, stitching, gardening or any other skill that you have but haven’t had much time to invest in. So use your free time wisely and improve such personal skills. There are also a number of activities that can help you increase your knowledge, but ‘reading’ and ‘travelling’ surely top this list. So if you can afford it, go ahead and travel and you’ll realise that it’s the best education as you explore different cultures and learn new languages. Reading is a more affordable hobby for those who aren’t lucky enough to travel but this too can help transform your personality as it exposes you to a whole new world. And yes, a book doesn’t actually have to be an educational one as even a fun book can teach you important life lessons. It’s pretty much impossible to find a hijabi who doesn’t love new beautiful modest outfits. So while shopping for new clothes is a fun way to spend your free time, it’s surely more rewarding and relaxing to upcycle your wardrobe instead. Moreover, as Muslims, we’re obligated to protect our environment and not indulge in unnecessary wastage of resources. So by upcycling your old hijabs and outfits, you’ll not just be getting a new wardrobe but also spending less money and saving the world. There are a number of different ways to upcycle of course. If you’re good at artwork, try creating new patterns on old hijabs with fabric paints. If you’re into stitching, you can use old clothes to make new hijabs or use old hijabs to make handbags or cushion covers, there are simply unlimited possibilities. And if you’re not lucky enough to have any of these skills, then you can just go thrift shopping and exchange your old clothes for new ones at the most affordable prices, and you’ll also be helping your community so it’s a win-win. Staying fit and beautiful on the outside is also equally important for hijabis so go ahead and use your free time to work out. It will not only keep you in good shape, but it will help you rejuvenate your body! Set new goals and find a motivated workout buddy to help you attain the goals. If you can join a gym then it’s a great way to not just stay in shape but also to meet new people and make new friends. But even if you can’t go out, you can always use online videos to work out at home and take up activities like aerobics or yoga. As hijabis, we can always use help from our fellow hijabis in every way, whether it’s about lifestyle choices, hair care tips, makeup techniques, reusing hijabs, learning new hijab styles and what not. All of us have some good hijab stories that are worth sharing so why not do that in our free time? There are several online forums and blogs where you can be a part of the discussion. But what would be even better is to start your own blog. 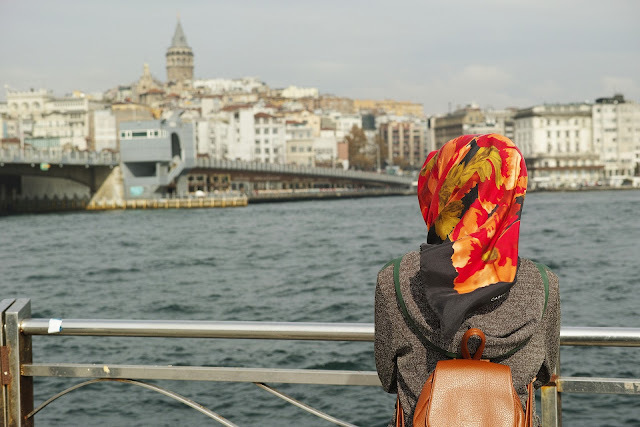 Blogging is a good way to share your everyday experiences and it can be a source of inspiration for hijabis around the world. You could start with written blogs or video blogs, or if you want to start small, simply start by sharing your stories on Instagram and see where things go from there. As Muslim women, we need to invest our free time in activities that are not just halal but also productive for both our bodies and our souls. So we hope that these ideas will help you make your lives more productive, creative and spiritual.